Greenland Has The World's Highest Suicide Rate, And Teenage Boys Are Especially Vulnerable : Goats and Soda Greenland has the world's highest suicide rate. And teen boys are at the highest risk. Kids play at an apartment block in Nuuk, Greenland, jumping into snowdrifts from the roof of a covered walkway. 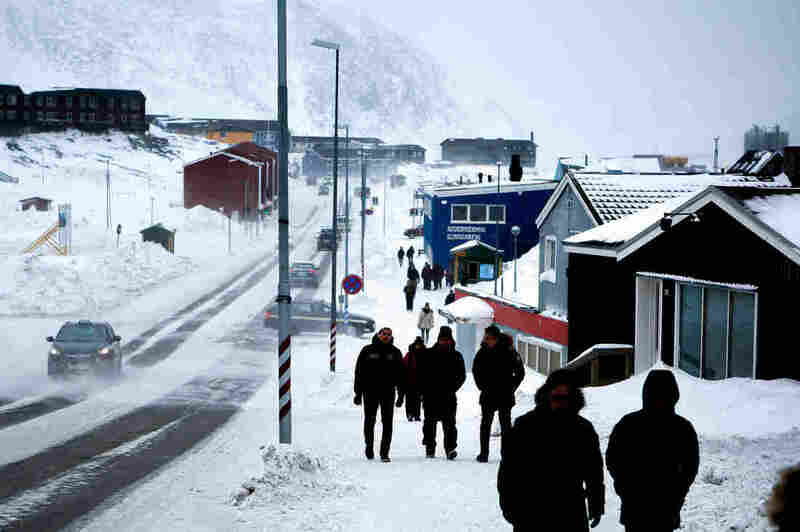 For more than 30 years, the suicide rate in Greenland has been among the highest in the world. The first death was on the night of Jan. 9. It was a Saturday. Pele Kristiansen spent the morning at home, drinking beers and hanging out with his older brother, which wasn't so unusual. There wasn't a lot of work in town. A lot of people drank. In the afternoon, they heard someone banging on their door, yelling. ABOUT THIS STORY. For more than 30 years, the suicide rate in Greenland has been among the highest in the world. 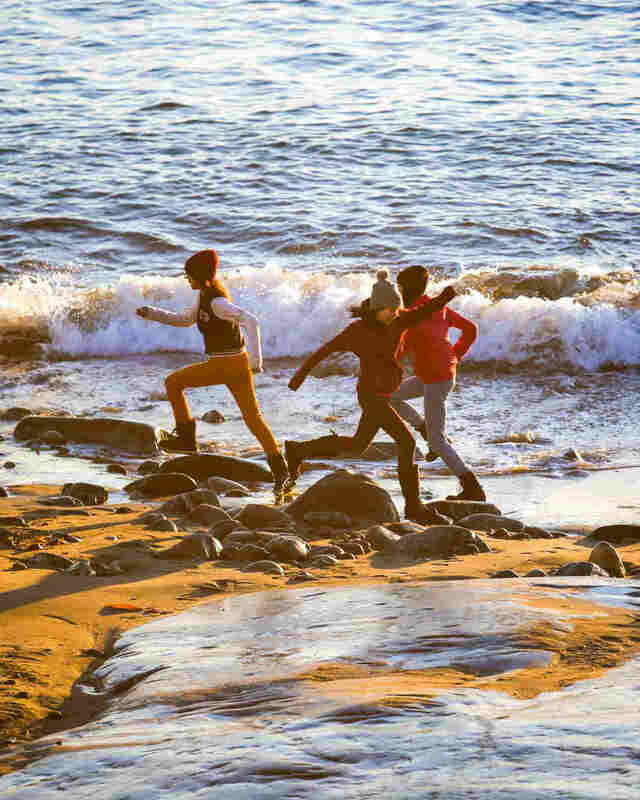 As the country tries to leave its colonial past behind, it is struggling to save the lives of a new generation of Inuit youth. Read more stories in NPR's special report. "Polar bear! It's a polar bear!" On the frozen fjord a couple of miles away, they could see the bear. Hunting in the Arctic — bears and reindeer and seals and birds — is at the core of Inuit life, even today. The polar bear was coming toward the town. 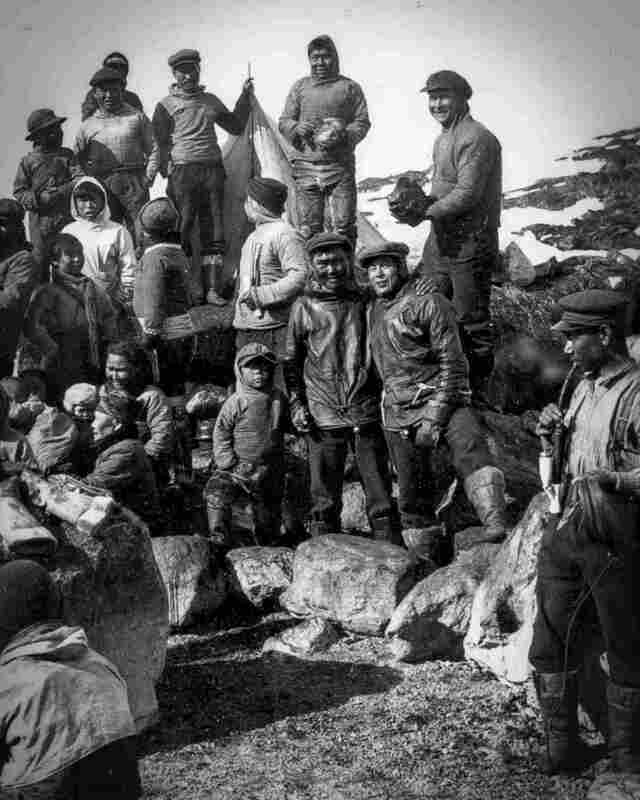 A little drunk and really excited, Pele and his buddies fired up the motor on their fishing boat and nosed through the slushy ice in the harbor of their East Greenland village, Tiniteqilaaq, until they were as close as they could get. They got out of the boat, stood on the ice and pointed their rifles at the enormous animal. Among the Inuit, hunting a polar bear is a big deal. The bears have huge territories — to actually see one around Tiniteqilaaq was rare. And because of their size and ferocity, they're not easy to kill. It's usually a group effort, so according to tradition, the first four people to shoot it share the meat and the glory. That day, Pele shot the polar bear. That evening, Pele went out drinking to celebrate. The next morning he was dead. He had killed himself. He was 22. Thirteen days later, in the next town over, a 15-year-old boy named Peter Pilanat killed himself in his grandparents' home. Peter and Pele didn't know each other, at least not well, but they had friends in common. In a place with only 3,000 people, Peter most certainly knew of Pele's death. Two suicides in less than two weeks. To the people in these small towns, it felt like the beginning of something bad, something sickeningly familiar. Something that had happened too many times in too many towns in Greenland. A cluster of suicides, inexplicable and indiscriminate, tearing its way through the youngest generation in a country that has the highest known suicide rate in the world. When Anda Poulsen was young, he felt lucky. He had been born in a town with great history. 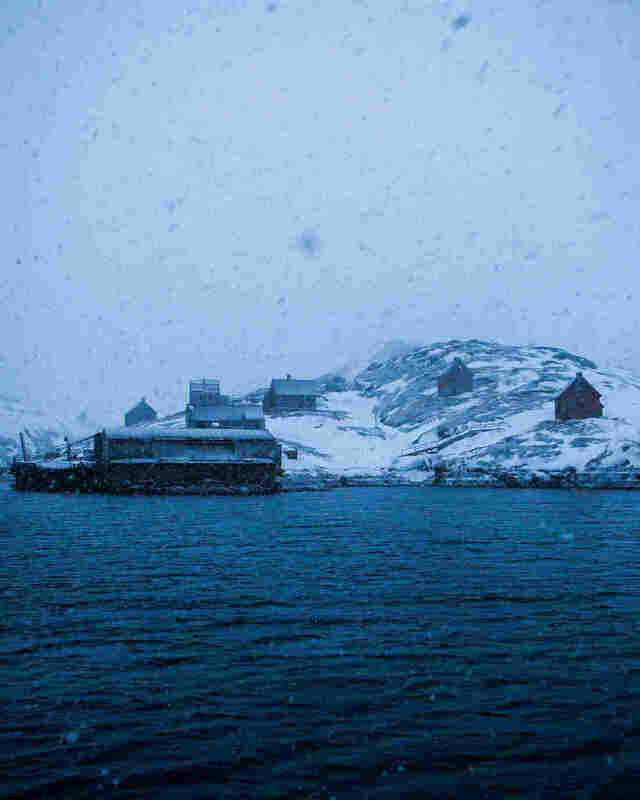 Kangeq, Greenland, was a place people told stories about. It was famous for its strong Inuit hunters and good location on a point at the mouth of a fjord. 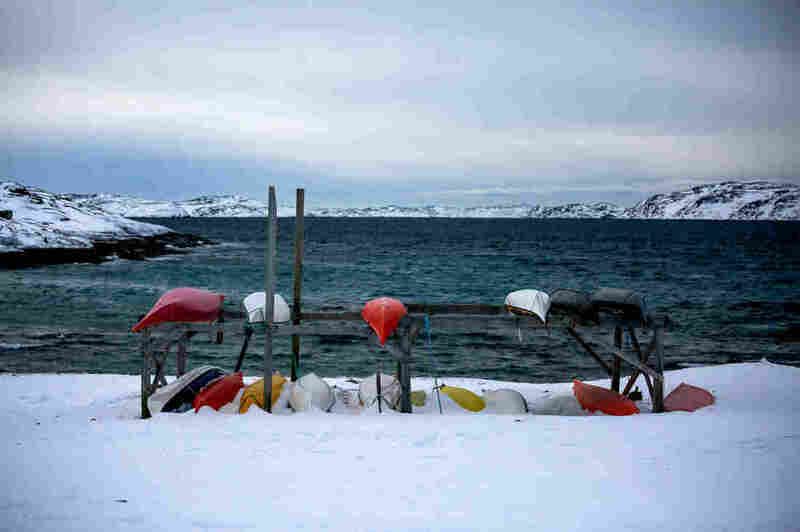 It was where the first Scandinavian missionaries had settled, the first Greenlandic artists had painted and some of the last traditional Inuit kayak hunters had braved the ocean. Kangeq was a place that made great men. Anda was proud. But Kangeq — which had survived a medieval drought and a post-medieval Little Ice Age, Vikings and missionaries — was about to meet a new and devastating foe. Anda was not going to be the hunter his grandfathers had been, and surviving into adulthood would be more difficult than he imagined. 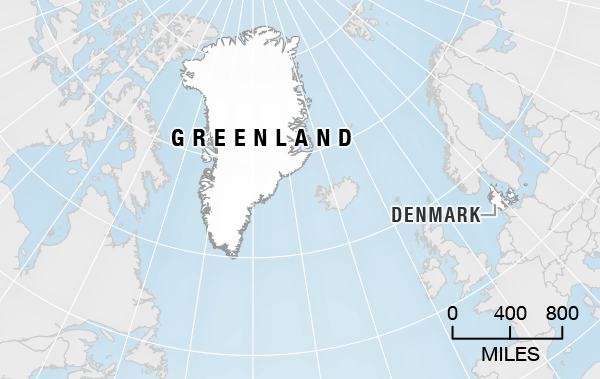 Greenland was a colony of Denmark (it still isn't completely independent). After World War II, building on American wartime infrastructure on the island, Denmark decided it was time to develop the local economy. Greenland was a perfect place for commercial fishing, and there was potentially a lot of money to be made on halibut and shrimp. The Danish government brought in trading companies and trawlers. Within a few years, it was out with the kayaks and famous hunters, and in with the motorboats and fishing rights. The influx of money and new technology made some people richer, but it undercut the traditional Inuit economy in small villages, which was based on collective hunting and trading of meat and skins. As a child, Anda played near the abandoned kayaks along the shore. "Wooden skeletons without covers," he remembers. The new motor boats were only the beginning. Commercial fishing required fish processing factories. And those factories needed workers. Kangeq was too small for a real factory — only about 150 people lived there when times were good. Once the fish factories opened up in the capital, people started to leave Kangeq for the jobs, and for education. By 1974, only 50 or 60 people lived in Kangeq. And this is where things really started to fall apart for Anda's hometown. He was 14 when it happened. 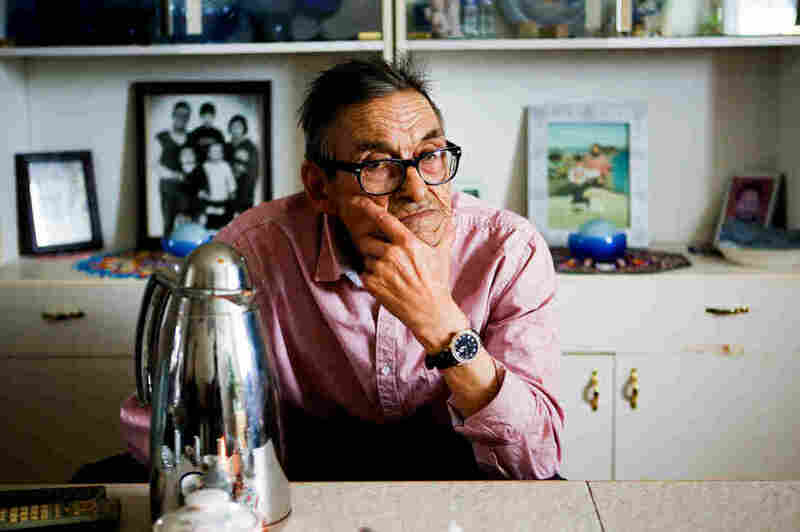 By that time, he was living in the capital, Nuuk, where he and the remaining kids from Kangeq went to school. "I heard that Kangeq was closing," Anda says. "Everyone heard. Everyone knew. It was very hard." Kangeq was being erased. 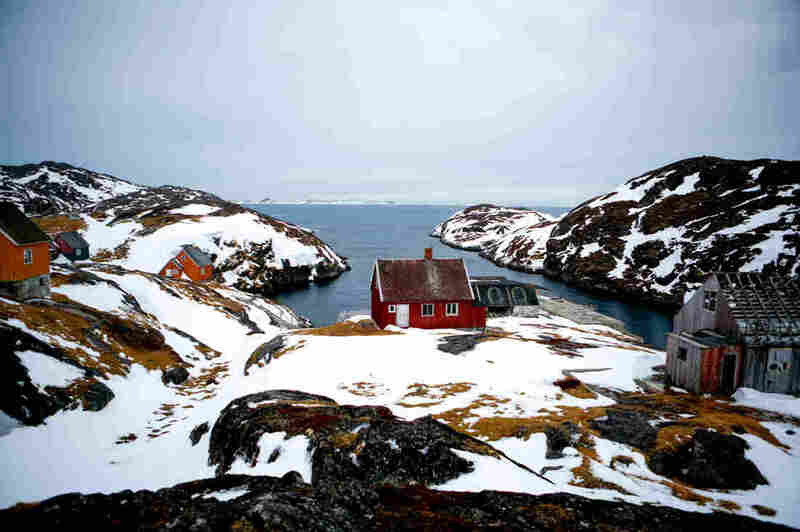 The Danish government was removing the village from the list of towns in Greenland. They were closing the store, shutting off the power, and reassigning the priest. From the government's point of view, it was a purely practical decision — it was difficult to provide basic services like health clinics and schools to every tiny village. It would be much easier if the Inuit people moved to larger towns where the infrastructure was already in place. 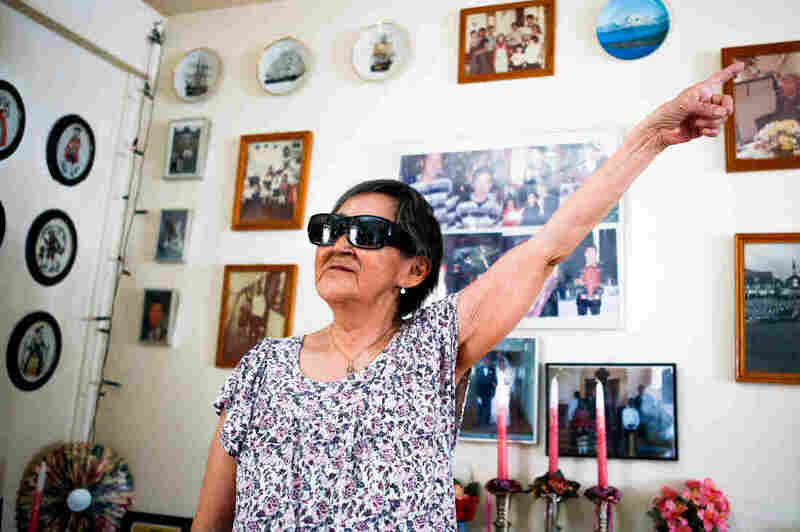 Anda's family — his mother, his sisters, his cousins — had to pack their things and say goodbye to their yellowy-orange clapboard house overlooking the sea. Their new home in Nuuk would be in a concrete apartment block, with hundreds of other families from dozens of other small villages that had also been erased. "My mother, my sisters and I all lived in a tenement building," Anda says. 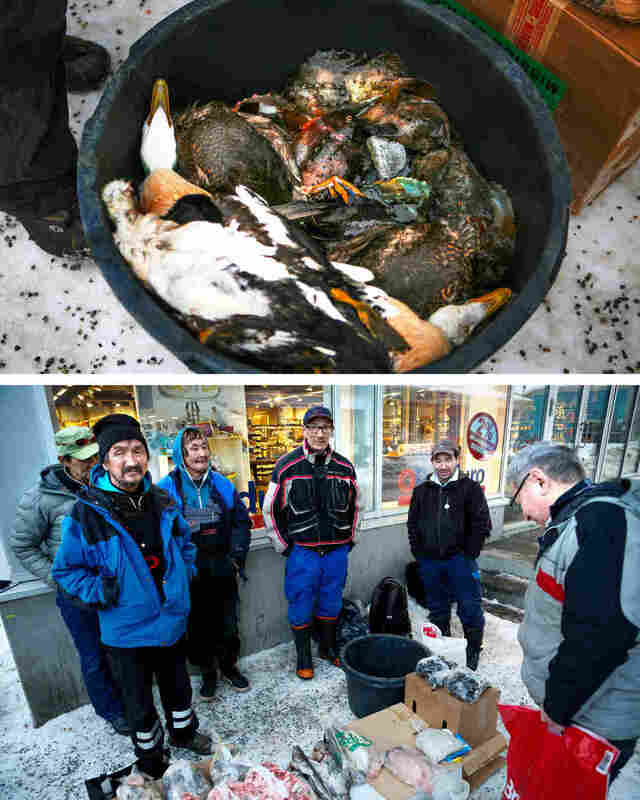 It was in a working-class neighborhood near Nuuk's growing harbor. 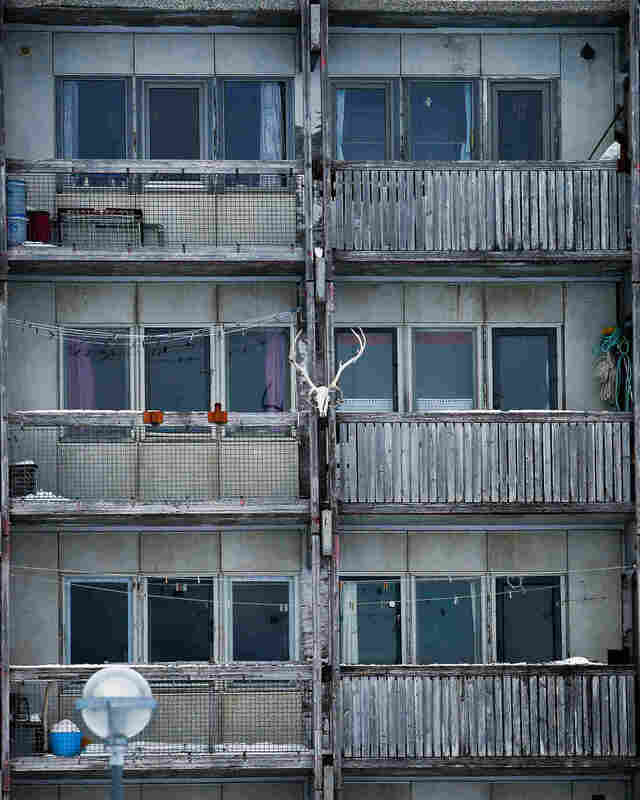 The apartment blocks were symbols of progress, the authorities told them, luxurious examples of modern Greenland, with heat and power and plumbing and paved sidewalks outside. But Anda says the apartments didn't feel luxurious — they felt foreign and lonely. The paved roads only separated them from the ocean, a barrier to the maritime hunting life they had depended on for thousands of years. Some tried to ignore the new setting and live as they had before. 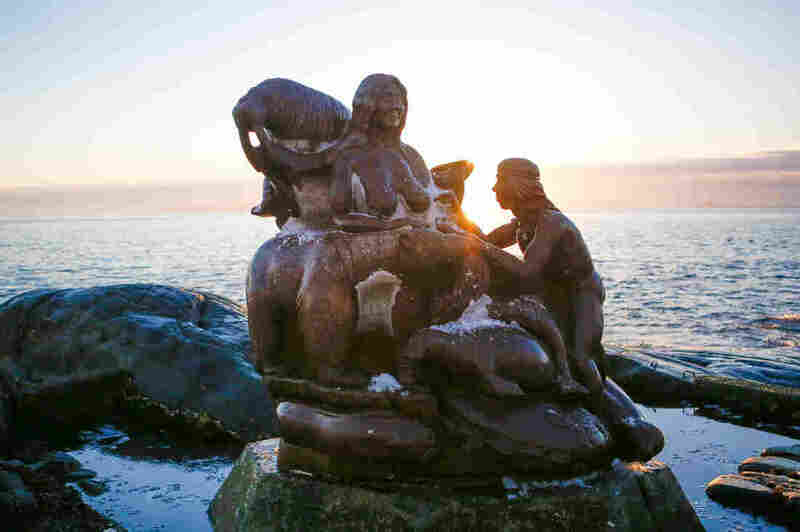 Anda recalls men hunting seals in Nuuk harbor in the afternoons, next to the Royal Arctic Line cargo ships, and dragging the meat back to their flats on children's sleds. "There was culture clash," says Anda. And, perhaps even worse, "there was prejudice against the people from the villages. You could feel it in their words, in the way they looked at you." Anda, who is now 56, turns toward the window of his office in Nuuk. All his life, he has censored his anger and tried to focus on finding solutions. Still, the past hurts. He makes his hand into a fist, then lets it drop to the table. For Anda, there were two choices. He could stay what he was, a village kid who spoke Greenlandic and didn't fit in, or he could change and become a Danish-speaking city kid indistinguishable from the others. At school the message was clear: Danish-speakers were better than Greenlandic-speakers; Danish stuff was cooler than Greenlandic stuff. Village kids were inferior to city kids. "I was good at integrating into my class." He sighs. He knew he had to leave parts of his old self, his Kangeq self, behind. Or at least bury them beneath a more Danish exterior. "That was how I survived." He forced himself to adjust. But there were those who couldn't adjust. The first death Anda heard about came shortly after Kangeq closed. The man was young — just 20. Anda knew his parents. Shortly after that, another family Anda knew found their teenage son's body. A few years later, their other son killed himself. From the time Anda was 14 until he finished college, at least 10 people from Kangeq killed themselves. "It was almost all the young men." He places a hand over his heart. "Very few of us survived." The details blurred into one long, dismal memory of bodies found and parents crying and silent funerals where no one ever asked the question that everyone was wondering. Anda wanted to know not just why the suicides were happening, but why no one was talking about them. And why wasn't anything being done to prevent them? Who was helping the family members left behind? The only resource for people who were suicidal was a church hotline. Anda leans back in his chair and chooses his words carefully. "For a lot of people, the priest was not who they want to talk to about their problems." The church, after all, is an arm of the Danish government. Anda's grief turned into something more like an obsession. He finished high school, had his first child. He wanted to help, but he still didn't know how. He applied to college to study family therapy, got in and by the time he got his certificate, he was downright angry. It was unconscionable that Greenland would let an entire generation kill itself. He had to do something. There was one problem: There were no clear answers to any of Anda's questions about why people were killing themselves or how to prevent it. Like native people all around the Arctic — and all over the world — Greenlanders were seeing the deadly effects of rapid modernization and unprecedented cultural interference. American Indians and Alaska Natives (many of whom share Inuit roots with Greenlanders) had already seen many of their communities buckle under the same pressures. 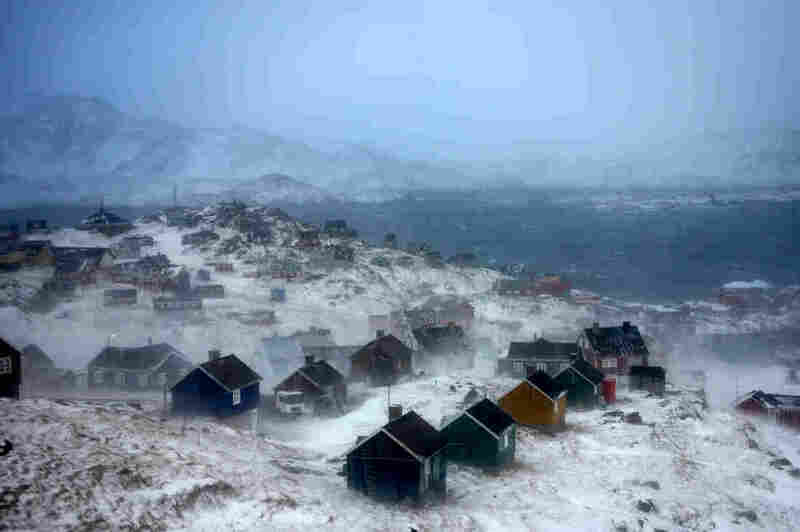 In Greenland, the problem was only getting worse. Between 1970 and 1980, the suicide rate there quadrupled to about seven times the U.S. rate (it's still about six times higher). The suicide rate was, and still is, so high that it's not an exaggeration to say that everyone in Greenland knows someone who has killed himself. Many people I spoke with struggled to explain what that felt like, to live in a place where suicide is so pervasive, and most of them settled uncomfortably on the same word: normal. Suicide in Greenland, I heard over and over, is normal. People don't mean it's OK, just that it's been so common for so long that the next death almost seems inevitable. By 1985, suicide was killing more people than cancer. That year, at least 50 people killed themselves in Greenland. The total population was only 53,000. In the U.S., it would be as if in one year, the entire population of say, Lincoln, Neb. — more than 250,000 people — killed themselves. And no one acknowledged it; it didn't make the papers. 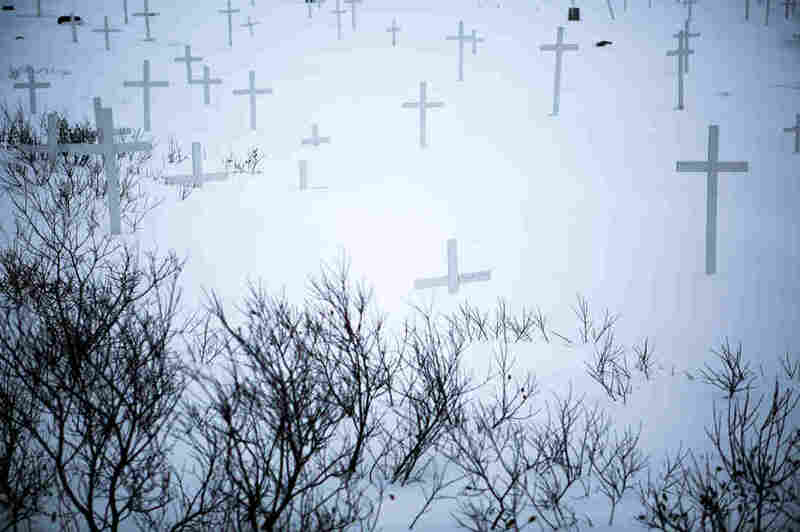 At that time, almost no one was studying suicide in Greenland. There were a few psychologists, but they were Danish, so it was impossible for Inuit people to get help in their native language. In therapy, each word matters. Plus, the stigma around suicide was intense. It was shameful. People who had lost children to suicide weren't even acknowledging that fact to each other, it was so taboo. In the spring of 1989, Atsa Schmidt's son had been dead for nearly a decade. Ujuanseeraq had loved acting and dancing. He ran a small theater group and was in school to become a mechanic. He had a lot of friends. But there were signs. He started telling his mother he was tired all the time, that everything he did felt too hard. Then, one day, he didn't come home for dinner. The next day they found his body in the back of the theater. He was 21. Right after it happened, his suicide had been something Atsa discussed only with her closest family. It was a deeply private and painful part of her life. Even today, she doesn't have any photos of her son in her home. So his death wasn't really something she expected to come up at the grocery store. "I was shopping for food at the Brugseni market in Nuuk," she says, as if the geography of Nuuk in the '90s is common knowledge. "You know, the one that burned down." Atsa was pushing her cart down an aisle when this young guy she knew through her cousins from Kangeq came up to her. "He said, 'I'd like to talk to you for a minute.' "
It was Anda Poulsen. There among the canned goods, Anda told her his plan. He was starting a support group for parents who had lost a child to suicide. He wanted her to come to the first meeting. "I said that's too much, I can't do it." But Anda, young and optimistic, replied, "Of course you can! Of course you can do it. It will help you. You will see, it will help you. Come to the meeting with your husband." "So," Atsa remembers, "I didn't really want to, but I went to the meeting." At the first meeting, she met a handful of other parents whose sons had killed themselves. And found it was a relief to talk to them. The group met again, and then again. "It was very clear that people needed help," says Anda. "And not just parents. People who were thinking about suicide, too." Atsa started helping Anda. They hosted events together about suicide prevention, open to everyone. Less than a year after their conversation at the grocery store, Atsa Schmidt and Anda Poulsen decided to expand even further. They opened Greenland's first national suicide hotline. It was an unconventional idea. They didn't have the resources to hire professional counselors. Instead, they built on the resources they had — middle-aged women who were good at listening. Atsa has no education at all, let alone a degree in social work or counseling, but she signed up to take the night shift. She knew she would end up with most of the calls — people don't usually call suicide hotlines during the day. She had no idea if she would be able to handle it. "I didn't know what would happen," she says. "We didn't know what to expect." And yet, she felt sure that doing something had to be better than doing nothing. Atsa says her thinking back then was that a lot of people felt very alone. Just by listening, and acknowledging the pain, she hoped she could help. By sheer force of will, the hotline took off. Every night, Atsa kept the hotline cellphone next to her bed. For 18 years, she woke up in the middle of the night and talked to suicidal people. "There were many people who needed help. That was clear." Many of the people who called were young men who felt like they had no one to talk to. A lot of them had siblings or parents who had killed themselves. She would always start by telling them she wasn't an expert, and she couldn't give them medical advice. But, she would tell them, she had felt some of the things the callers were feeling, and she was there to listen. Sometimes, she'd read a prayer into the phone. The stress of the conversations was nearly unbearable. Her hands shook; she fainted without warning. Her son complained she was spending too much energy on strangers. Her husband worried she wasn't sleeping enough, working all day in a nursing home and answering calls all night. After a serious case of hives landed her in in the hospital, her doctor told her she shouldn't work at the hotline for three months. She took his advice, but after three months she was back answering calls. "I've talked to thousands of people," she says. "Even today, people I don't know say thank you to me." They are people who have called the hotline anonymously and recognize her even though she can't recognize them. Atsa answered thousands of calls during her time on the hotline, and for her, there was a clear pattern behind Greenland's suicides. Love, she says. Or, loss of it. 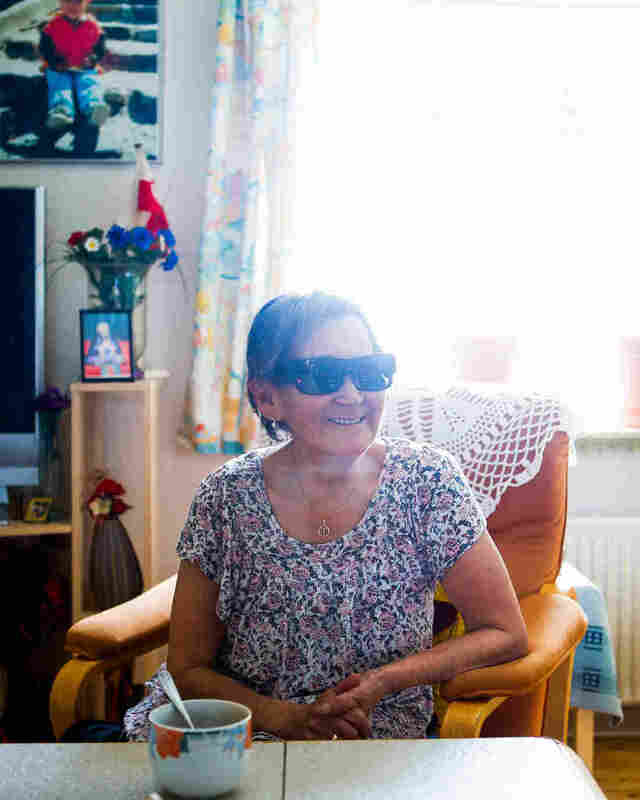 We're in her living room in Nuuk, surrounded by photos of her children and grandchildren. She's 72 now and losing her sight. "Some people, they are raised with a lot of love," she explains, "but some people are not. And these people who didn't get love in their childhood, when they meet a partner, they try to hold onto him like they own him. They think that this one person, they can only love him and he is the only one who will ever love them. And when they break up, the person feels like their life is over." Atsa thinks for a moment. "Maybe I am giving them a little love." Listen to Atsa Schmidt telling part of her story in her native language, West Greenlandic. Her observations are in line with something psychologists and sociologists think is fundamental to the causes of suicide in Greenland. When communities are disrupted, like Kangeq was, families start to collapse. There's an increase in alcoholism, child neglect and physical abuse, all of which are risk factors for suicide. Later, people who didn't get the love and support they needed as children find it difficult to cope with the routine heartbreak of dating, and a breakup becomes the final insult in a lifetime of hurt. "There are a lot of negative consequences to rapid modernization," says Greenlandic sociologist Steven Arnfjord. "We're still dealing with a lot of aftermath from policies of the '70s and '80s." There's also something broader — a loss of identity that happens when a culture, in this case Inuit culture, is demonized and broken down. 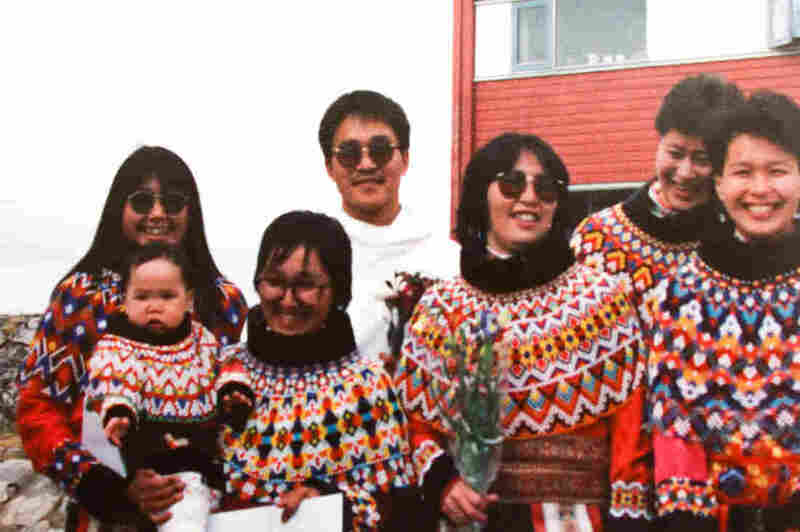 When a culture is largely erased over less than a generation, as it was in Greenland, a lot of young people feel cut off from the older generations, but not really part of the new one. It's especially difficult for young men, whose fathers and grandfathers were hunters, and who struggle to understand what it means to be an urban Inuit man. Without strong families and communities to help them cope, some of them are so overwhelmed and lost, they take their own lives. 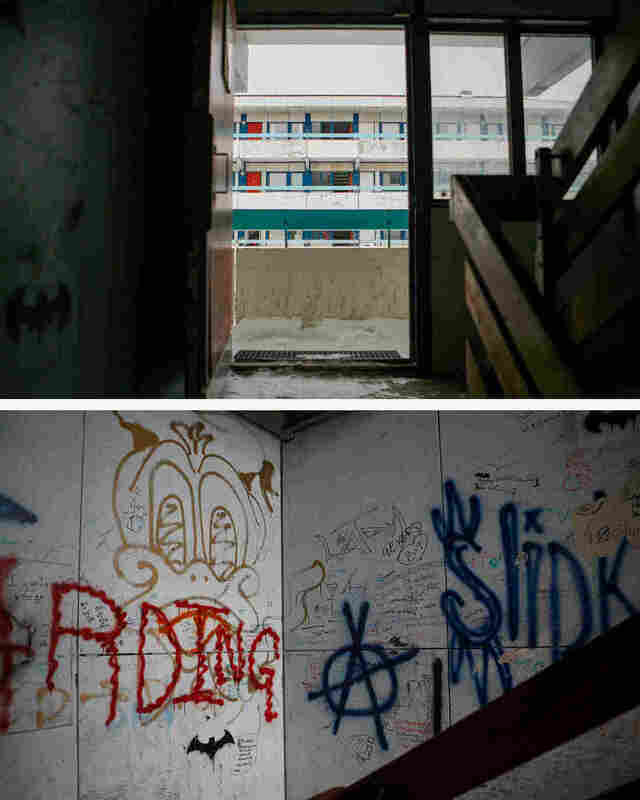 Fifty years after the suicide rate started to climb in Greenland's capital, it appears to have plateaued, although it is still five times higher than in Denmark. 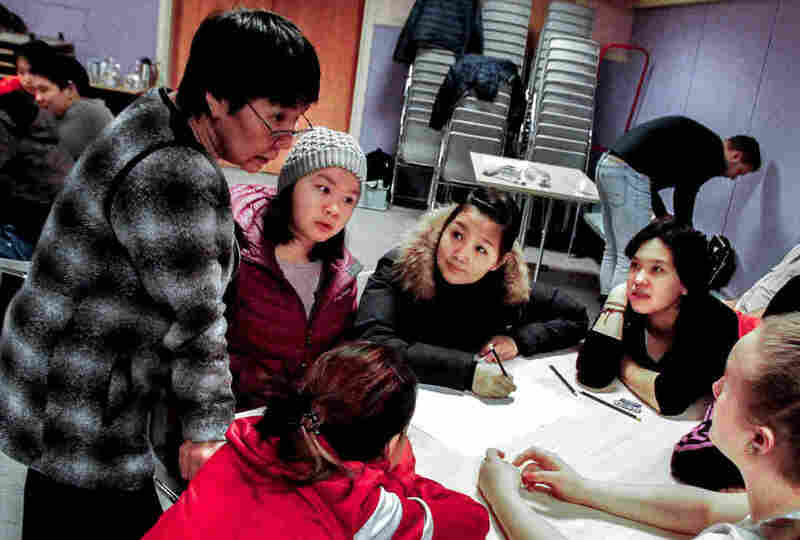 For young people in Nuuk, the pain of assimilation and modernization still exists but is less acute. And while mental health resources are far from adequate, there are more than there used to be. But in the smaller towns, remote communities, the situation is as bad as ever. Julius Nielsen was standing right next to Pele Kristiansen on Jan. 9, when Pele shot the polar bear. "There was so much adrenaline," Julius says. "I didn't have a rifle, and I kept saying give me your rifle!" Julius was older than Pele and thought he'd have a better shot. But Pele kept the gun and shot the bear. Julius drops his head into his hands. "Pele was so happy." 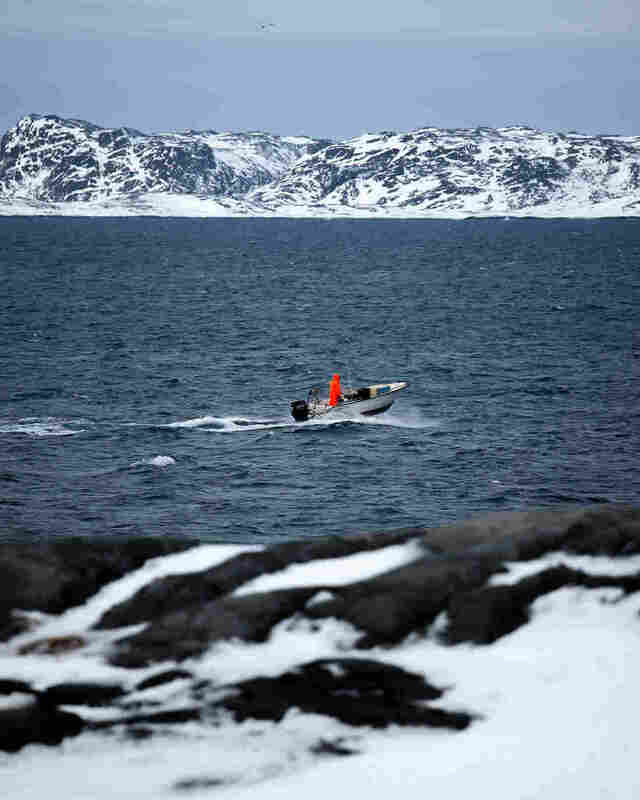 The two men were from the same tiny settlement of Tiniteqilaaq. Left behind by a rapidly urbanizing society, their home village retained the rhythms and traditions of an earlier time, when hunters were heroes. The polar bear was a rare enough occurrence that everyone in town celebrated well into the night on Saturday. On Sunday Julius woke up early, around 5 a.m., feeling good. The weather looked clear enough for seal hunting. 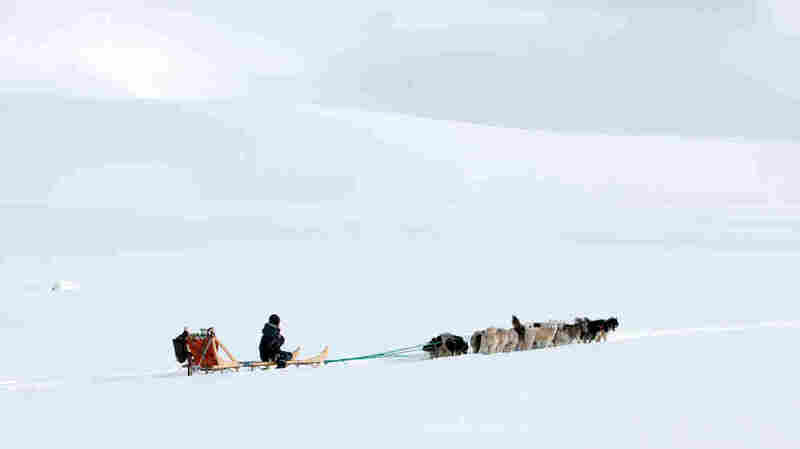 He fed his sled dogs in the morning light and went back home for a cup of coffee. Then, at 8, he got a call from Pele's brother. "Stupid, stupid Pele," he said. "He killed himself." "Look out the window," the brother said. When Julius looked out, he could see Pele's older brother standing next to his icebound fishing boat anchored in the tiny settlement's frozen harbor. 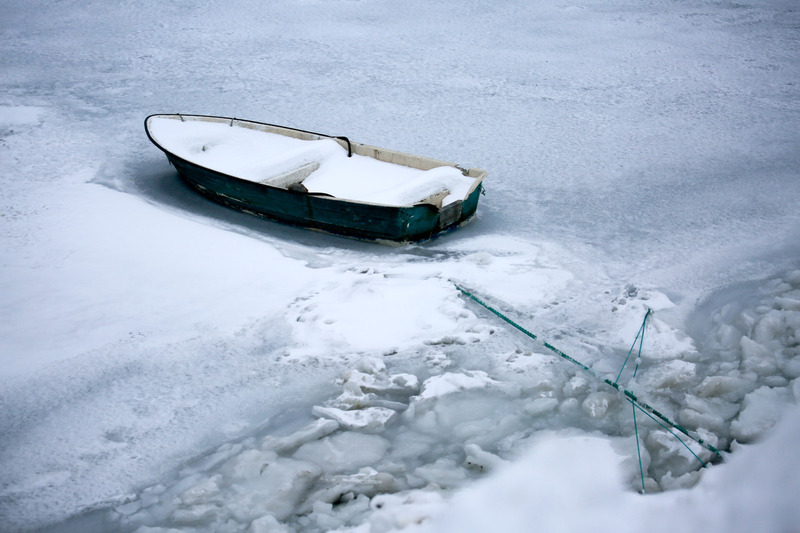 A lone rowboat sits icebound in a Nuuk harbor. "He was just looking at me." Julius grabbed his jacket and pulled it on as he ran down to the ice. "We had the best Saturday, and the worst Sunday." Julius covered his friend's body with a tarp and called the police. 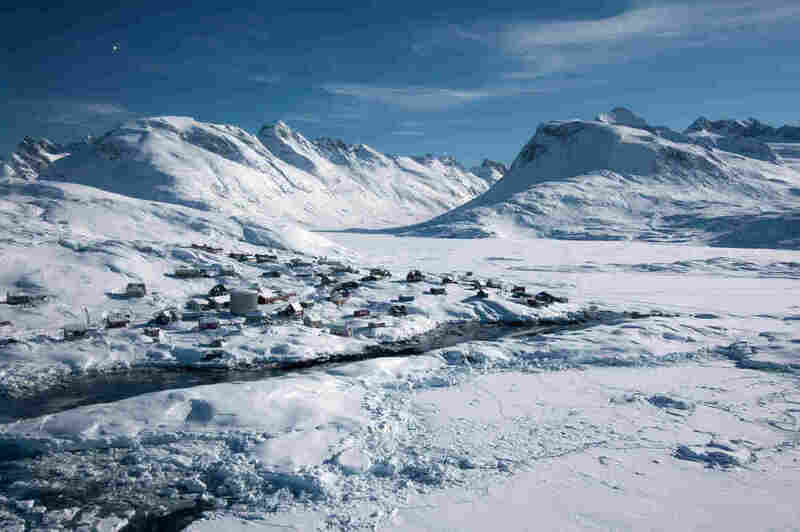 Tiniteqilaaq is 25 miles from the largest town in east Greenland, Tasiilaq. Although families and hunters go back and forth all the time, the route between the two places is nonetheless remote, includes a glacier crossing and can be treacherous. That particular weekend, there was already 3 feet of snow on the ground. It took the police officer, a young Danish man still new to the area, all day to travel from Tasiilaq by snowmobile. When he arrived in the evening, it was already dark and snowing again, and he found he couldn't communicate with the dead man's family, who spoke only Greenlandic. Julius had to translate. The police officer told the family that a doctor would need to examine the body before it could be buried. 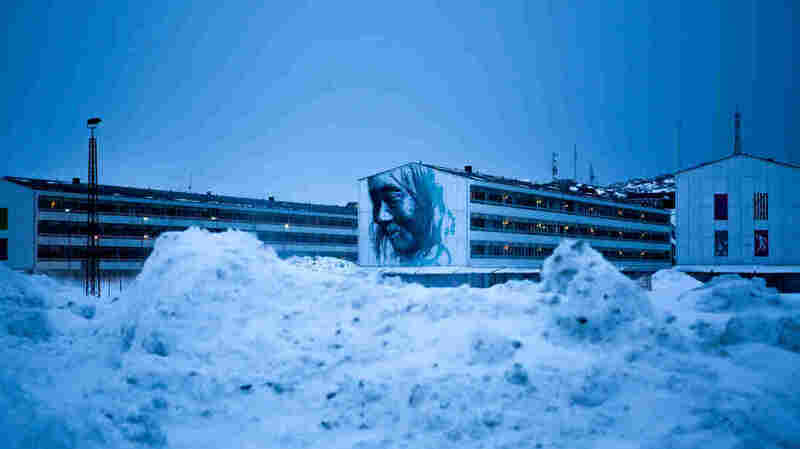 There were no doctors in Tiniteqilaaq, so they'd need to bring one from Tasiilaq. By now the snow was too deep. They'd have to wait for a helicopter. They moved Pele's body to the health clinic, which also serves as the town meeting house, hotel, post office and church. The nurse there was Pele's aunt. She couldn't bring herself to clean the body, so Julius did it himself. He cut Pele's favorite dress shirt down the back and tucked it around his friend's stiff body, trying to make it look as neat as he could. Pele Kristiansen was buried on Friday, Jan. 15, 2016. Dozens of people from Tasiilaq went to the funeral. All that next week, people were walking around in a daze, trying to explain the inexplicable to themselves and to their families. Julius' 13-year-old son had loved spending time with Pele. 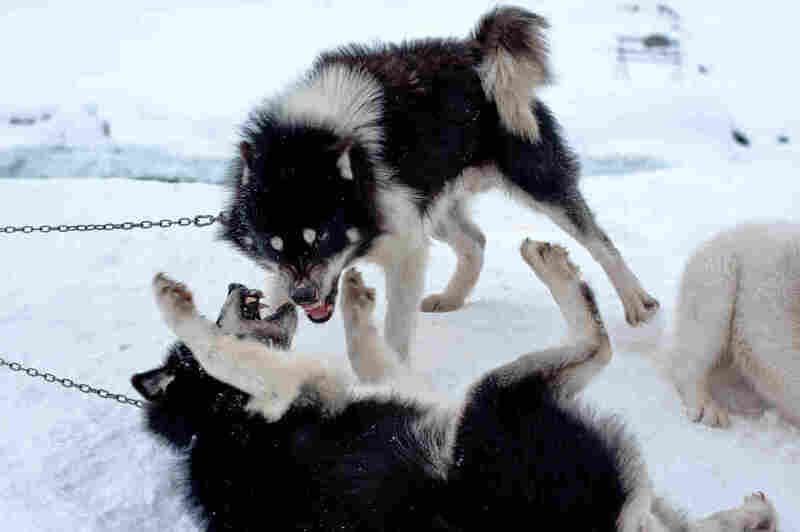 They went dog-sledding and played video games together. He kept asking his father how someone who seemed so happy could kill himself. "It's just not possible to explain," Julius says. Pele had never mentioned suicidal thoughts, had never attempted suicide before, at least that Julius knew of. And yet there was no way his death was an accident. He had definitely killed himself. "I don't know why and I can't explain why," Julius said to his son. "I'm sorry." He told him that as much as it hurt, eventually he would learn to live with Pele's death. 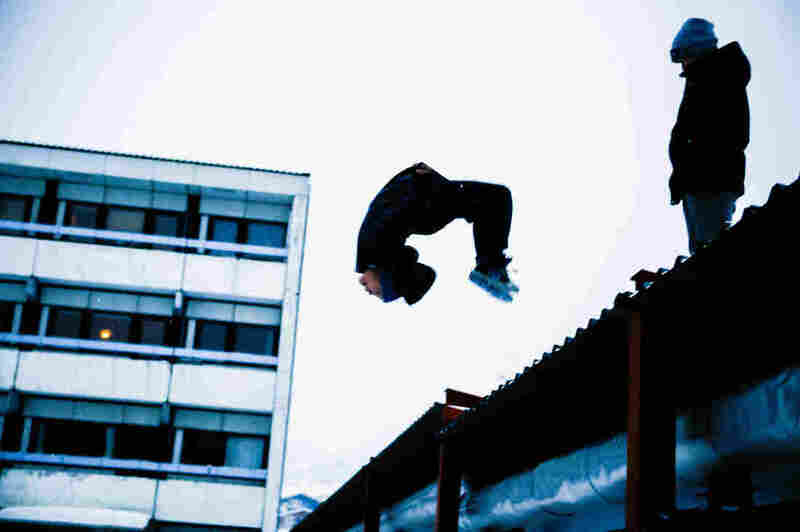 A few days later, 15-year-old Peter Pilanat killed himself. That death brought with it a new fear: Was this the beginning of a suicide cluster? Sometimes, suicides can start chain reactions. Psychologists call it the contagion effect or suicidal transmission — after a close family member or friend kills himself, people who are already having suicidal thoughts are at greater risk for suicide. For that reason, suicide clusters or waves are especially likely in small, isolated communities where everyone knows each other. In one study from Greenland, 60 percent of young people who killed themselves did so within four months of another suicide in the same district. Still, it's impossible to know why this particular 15-year-old boy killed himself in Tasiilaq. But whatever the reason, after two suicides in two weeks in a place with fewer than 3,000 people, a lot of people felt as if a vicious cycle was restarting. It had happened before in Greenland. There was the wave of teenagers who killed themselves in Illulissat around 2004. 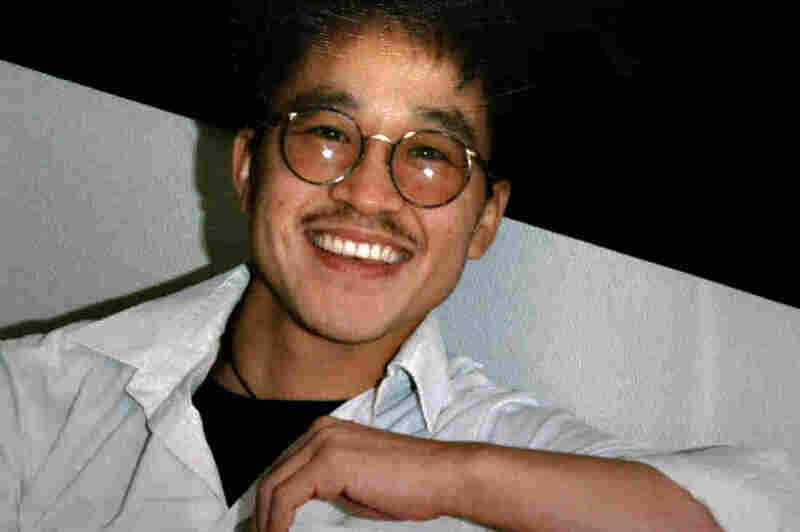 A slew of deaths that swept through school dormitories in the '90s. "To be a parent in this case, you feel very powerless, helpless," Julius says. Two of his children had gone to school with the dead boy. Privately he started to question whether he felt safe keeping his kids in school in Tasiilaq. Despite having the highest suicide rate — more than 400 per 100,000 — of any town in Greenland, Tasiilaq does not have a psychologist. Nurses and social workers and therapists there do their best to counsel suicidal residents, as do psychologists 500 miles away in Nuuk, who can talk to patients over a video connection. But Greenland's Ministry of Health acknowledges it does not have adequate resources, and a lot of people in Tasiilaq say that when they report a suicidal friend or family member, nothing happens. Back in the capital, the recent pair of suicides weren't even on the radar of the Ministry of Health. But the municipal government had heard about them. Kristian Rosing, the coordinator of suicide prevention for the region, started rearranging his schedule in case he had to go to Tasiilaq. It takes a full day to travel from Nuuk to Tasiilaq, first on a small propeller plane, then on a helicopter. The flights are about as likely to depart as they are to be canceled, and in the winter there are only two flights a week. A round-trip ticket costs about $1,000. "I had planned to visit Tasiilaq in the fall," Rosing says, "but when I heard about the deaths, I thought my boss might send me sooner, to teach the kids how to cope with the suicides. Teach them how to prevent another one." The first people the regional government sent in, though, were grief counselors, a social worker and a family therapist. Their job was to help families get through the next few weeks. Espen Christiansen, a teacher at the school, remembers the first day back after the 15-year-old had killed himself. He looked out at the dead boy's classmates and he didn't know what to say. Their eyes were red from crying. "We were mostly silent. They weren't talking very much. I thought it was most respectful to just be quiet, too." After lunch, some of the kids wrote down their feelings in letters addressed to their dead classmate. Christiansen helped them make a shrine on Peter's desk, with candles and ribbon. "I told them they could go home if they wanted to, but they stayed," he said. "I think they didn't want to be alone." At this point, it had been about two weeks since Peter killed himself. 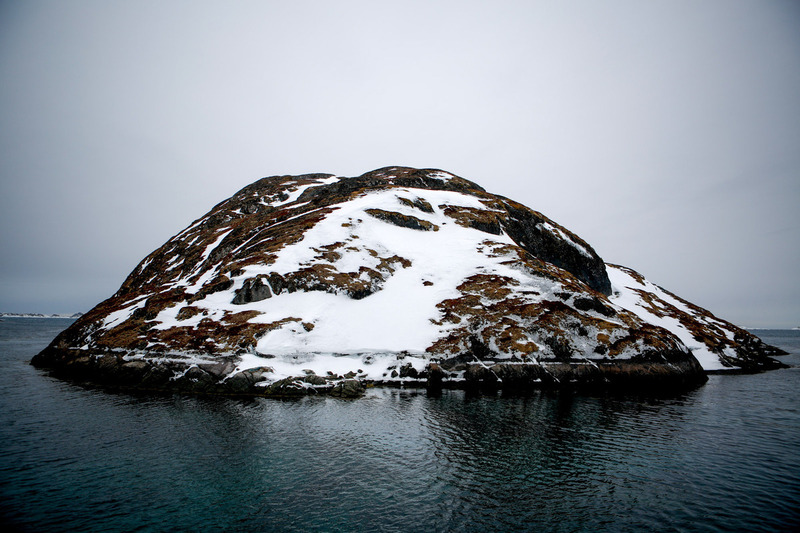 In Nuuk, Rosing's boss told him it was time to get to Tasiilaq — as soon as possible. Rosing is a constitutionally honest man. He is the first to admit that he is not particularly well-qualified for his job. His original training was as a shopkeeper's assistant, and a few years ago, he took a three-month course in administration, although at that point he had already been in charge of suicide prevention in a smaller region for many years. He spends most of his time going to different schools and teaching teenagers and people who work with kids how to talk about suicide. He was nervous about the trip. Usually, he follows a curriculum that involves speaking very bluntly about suicide, even to kids. He does exercises where students have to brainstorm reasons a person might kill himself or asks them to pretend to be a suicidal person in a role-play. He had never used the curriculum with kids who had just lost a friend. "These kids, they are very fragile," he said. "I was worried about how they would react." He decided to go with what he had, and hope it would help rather than hurt. 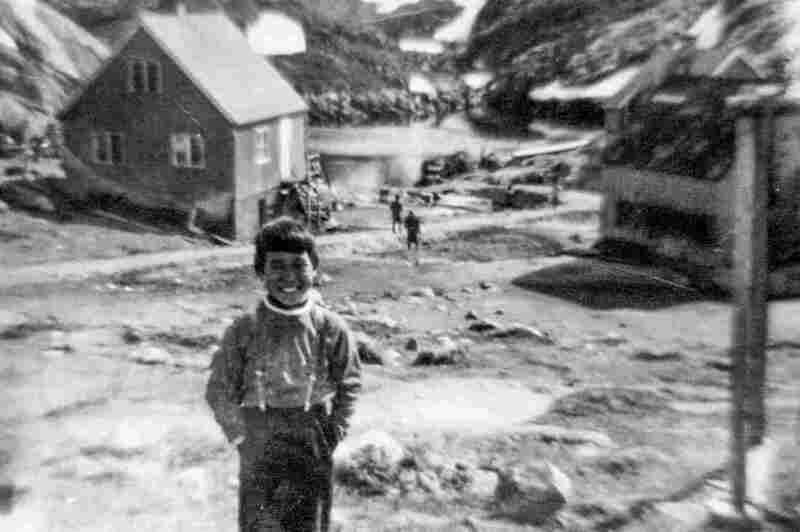 A full month after Peter died, at 8:30 in the morning, Rosing puttered restlessly around the back of the community hall in Tasiilaq. The 10th-graders — the classmates of the boy who had killed himself — were due any minute for their first day of suicide prevention instruction. He had bought heaps of bread and cheese and jam for breakfast for the almost 60 kids he was expecting. As they trickled in by twos and threes, he smiled silently and gestured to the table full of food. Throughout this story, we do not include any details about the methods people used to kill themselves. Nor have we speculated about individual motives or described the act of suicide as anything but what it is. This is by design. Suicide is a public health issue, and like all public health problems, how we talk about it affects our collective ability to prevent it. Graphic description or public glorification of suicide is potentially dangerous for people who are at risk for suicide. You can read more about the media guidelines for reporting on suicide recommended by the U.S. Centers for Disease Control and Prevention at the American Foundation for Suicide Prevention. Fifteen-year-old Paul-Ib Uitsatikitseq was antsy as soon as he walked in. He was still thinking about his friend's funeral, and he knew he was going to be asked to talk about suicide. He finished his bread, fumbled with his napkin, then pulled out his cellphone. Rosing saw the phone and walked over. "Put that away, please," he said. Then, more gently, "You know this is important." He put his hand on Paul-Ib's shoulder until the boy pushed the phone down into the pocket of his jeans. The first assignment was to get into groups to brainstorm reasons that a person might kill themselves. The other boys in Paul-Ib's group messed around with a paper football. Paul-Ib bent over the paper and, in haphazard pencil, scribbled out 10 reasons. The first one said Loneliness. Being lonely for long time. Being lonely in whole life. Number three read simply Love. Not every exercise went as well. In the middle of a video about suicide and child abuse, one girl simply got up and left the building. A teacher went running after her. Another boy refused to write or say anything and just sat in the back of the room staring at his hands. After the first day, about a dozen kids didn't come back. But many more did. After a few reprimands about wearing earbuds, most of them listened to Rosing. His message was more about life than about death. He talked about how hard it can be to feel alone and sad in a small town. He urged them to talk to each other about their feelings, good ones and bad ones, and then he had them act out those conversations. On the last day, the kids got diplomas that said Suicide Prevention Life Course Participant. It had gone well, he thought. Or, at least it hadn't gone terribly wrong. A few weeks after his trip to Tasiilaq, Rosing is hunched in his undersized desk chair. When he talks about his time there, he sounds nothing but depressed — despite his apparent success helping the kids there talk about suicide. "I don't think I can prevent another child from dying in Tasiilaq," he says. "I know it will happen again." Last year, before the suicides happened in Tasiilaq, Rosing almost quit his job. 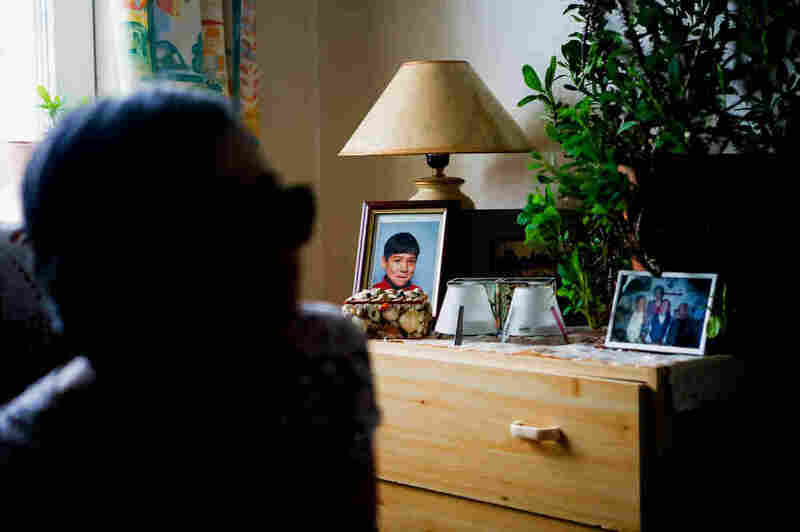 "I had just had enough," he says, of going into school after school, town after town, hearing stories about pain and loss and desperation, and then, inevitably, hearing later that another child or young person had died by suicide. It was exhausting and frustrating and isolating. "For me, it is very lonely work. Even though I have colleagues, I feel alone." Rosing says that to fix the underlying problems in Tasiilaq — the alcoholism and joblessness and poverty and child neglect — it's going to take money and manpower. For a start, the town needs a full-time psychologist, better-educated teachers, more social workers, and a serious jobs program to employ educated young people who return home after getting their degrees elsewhere. As does every other town in Greenland. All 100 or so of them, sprinkled around the coast of the largest island in the world. "Twenty years," he thinks. "If we do everything we can, it will be 20 years." That long to get the suicide problem in Greenland under control. Twenty more years before what happened in Kangeq long ago stops happening in Greenland. It's something Anda tries not to think about in his day-to-day life. Between his job as a family therapist and raising his three kids, he's always busy. "There are always more families who need help," he says. "Plus, I have my own family. My own children to take care of. It's stressful." A few years ago, Anda Poulsenfound an unexpected outlet for his stress. 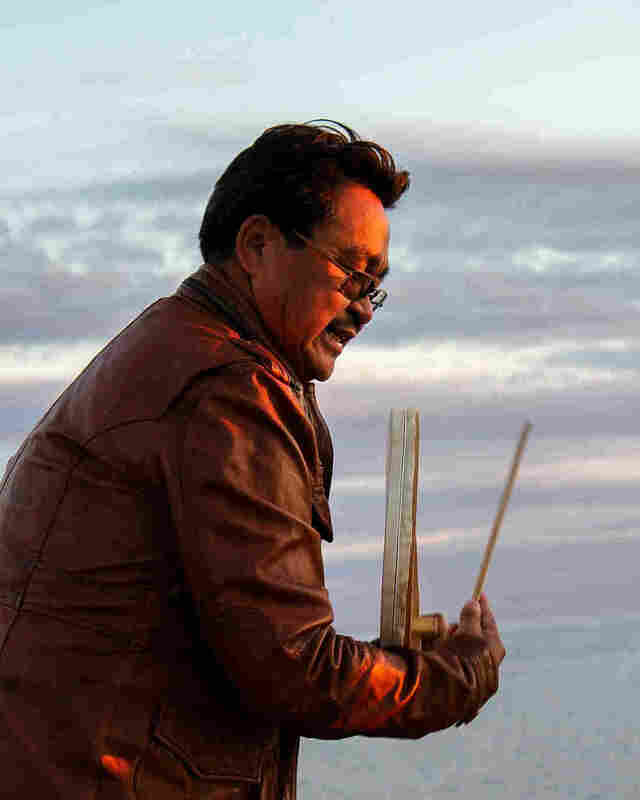 More than two decades after he forced himself to assimilate, Anda rediscovered traditional Inuit drum dancing, which celebrates hunting and being near the ocean, and started a group called the Nuuk Drum Dancers. Now, at least once a week, he sings and dances with his sealskin drum. "When I feel sad or angry, I drum dance," he says. Listen to Anda Poulsen and the Nuuk Drum Dancers. In his search for a way forward, Anda Poulsen is reconnecting with the past. And he hopes his children will be allowed to express their Inuit identities in a way he was not. "I think the future will get better and better for them." In the summer, Anda takes his children back to Kangeq, where the colonial wharf is slowly collapsing and the old store stands empty. Sometimes, while they fish and play among the abandoned houses, he takes his drum up the hill and closes his eyes and dances. 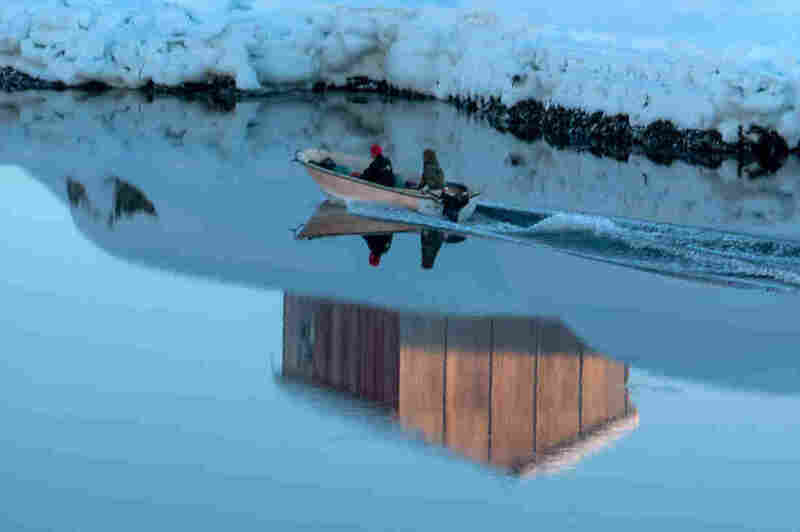 Rebecca Hersher spent 10 weeks in Greenland as NPR's Above the Fray fellow. Text and audio for this story were edited by Alison MacAdam, Marc Silver and Vikki Valentine. Visuals were edited by Ben de la Cruz, Malaka Gharib and John Poole. Additional reporting and translation by Nina-Vivi Andersen, Sara Jakobsen and Angutimmarik Josefsen. This story was made possible in part by The John Alexander Project, which supports foreign reporting in undercovered parts of the world. Do you have questions about this special report? We'd like to hear from you and provide answers in a follow-up story. Tell us in the comments or send an email to nprcrowdsource@npr.org with "Arctic suicides" in the subject line.